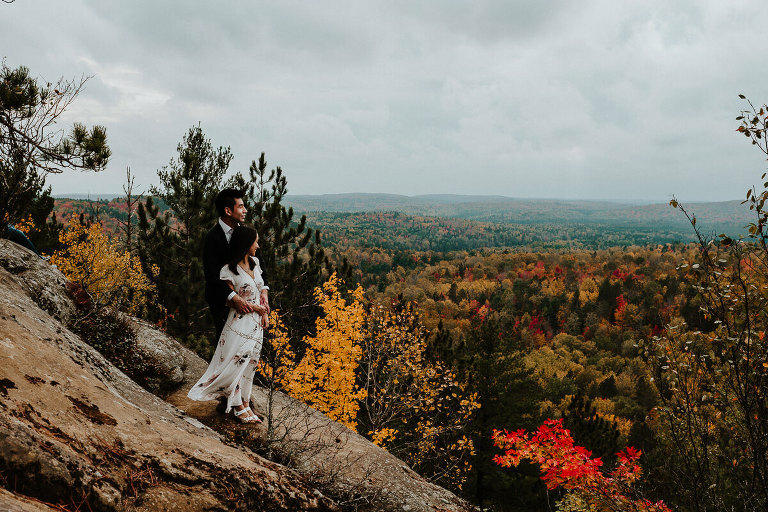 Algonquin Park wedding: When Lookout Point in Algonquin Park is on your bucket list and your client asks you if you are willing to drive there, YOU SAY YES and haul your family along for the day trip. Absolutely stunning views, I highly recommend it. Lookout Point is a 15 minute hike up with wide trails that will leave you a bit winded but totally manageable. You will need a park pass ($20) to park without getting a ticket and try to get there earlier in the day to avoid the tour bus crowds. 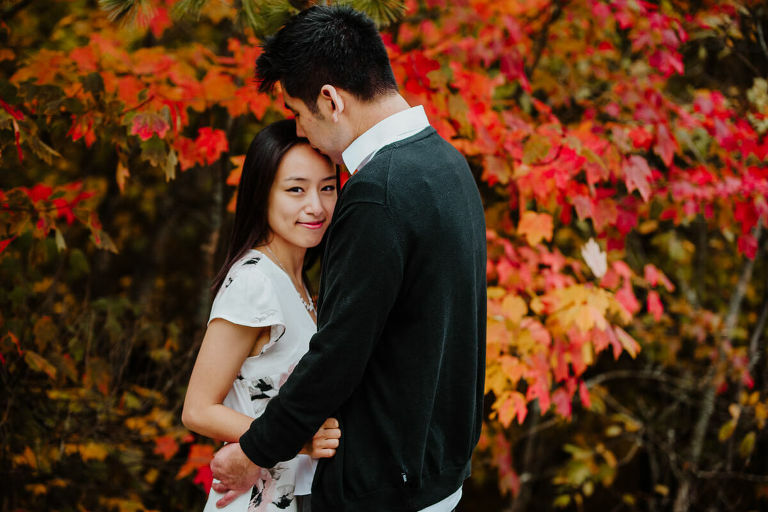 These photos were taken Thanksgiving weekend 2017. “The Lookout Trail is likely the most popular day hike trail in Algonquin Park. The trail climbs steeply to a lookout with a spectacular view. The trail has recently been “upgraded” and is now a hard-packed gravel trail throughout the 1.9km loop trail. Having hiked the trail before the “upgrade” I can tell you that the trail was much better before. However, it is likely that trail erosion was becoming a problem wih the number of hikers of this popular trail. The trail to and from the the lookout is not that special. After the lookout the trail descends quickly back to the trailhead. This is a trail that I never miss when visiting Algonquin. A great hike if you have an hour to spare.